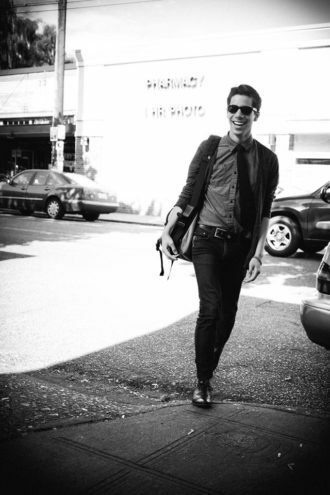 Alex Negranza’s Perfect Day in Seattle. You’re in Seattle for a day and want to hit some of the city’s best eating and drinking spots. Where do you go? Just ask Alex Negranza, former bartender at Seattle’s Spur Gastropub and Miller’s Guild (he’s since relocated to Houston). Here, Negranza guides us through his ideal day in the Emerald City. Alex Negranza: If the world were a perfect place, everyday would go like this. I’d start with a walk to Pike Place Market with a mug of coffee in hand. I’d stop at Frank’s Produce stand for Opal apples. They’re amazingly delicious and fresh right now. Frank’s is also where I get a lot of my supplies for bartending at Spur Gastropub and Miller’s Guild. It is my go-to produce spot it in the city. I take my loot and walk over to DeLaurenti’s for a fresh baguette and some cheese. If I need to restock on bitters, vermouths, wine or anything related to specialty bar necessities, they’ll have it. And if I need a shot of espresso, Seattle Coffee Works is right across the street. My favorite café right now if I’m staying close to home is Street Bean Espresso on 3rd Avenue in Belltown. It’s a great café that serves Verve Coffee (from Santa Cruz) and other roasters from around the West Coast. It is also a non-profit organization that helps transition youth from the streets to stable living situations and provides them with job training. Great coffee, great cause. If I have the day off and I can go anywhere in the city, I’ll head to Milstead & Co. I’ve started some of the best days I’ve ever had with a shot and a brew from them. The café has everything I’d want from a Seattle coffee shop—phenomenal coffee, hospitable staff and a great neighborhood for walking around. Since I’m in the neighborhood, the best lunch spot is Paseos. I mean, come on, it’s friggin Paseos! Get in line early or do what I do: call in your order on your 15-minute break and skip the lines when you arrive. If you really want to be an all-star, tell your co-workers you’re going and order for the office. It’ll pretty much make everyone’s day awesome. After eating a gut bomb like that, it’s necessary to prevent a food coma by finding some digestifs. Off to Rob Roy in Belltown to drink everything on their amaro list! Anu Apte, (owner and bartender at Rob Roy) has done a great job curating an amazing wall of spirits. You’ll find me in that bar more than any other. Next, off to Le Caviste for a pre-dinner aperitif. Le Caviste just opened up right around the corner from Miller’s Guild. There are some very tempting wines by the glass, but sometimes I just sip an Aperol and soda with a twist. My favorite place to have dinner is Spur Gastropub, where I work. I wanted to bartend there on the weekends because I truly believe in their food. In my opinion, it’s some of the best in the city. I’m not talking about the burger either. The eight-course tasting menu is $100 and worth well more than that. I’ve been eating there for years, and only working there for the past three months. There’s only one thing left to do after an amazing day like the one outlined above, and it’s to go see the crew at Zig Zag. I’ll have something brown, bitter and stirred, barkeep. Jordana Rothman recently co-authored her first book with chef Alex Stupak of New York’s Empellón restaurants. Here are five things she can’t live without.